Madhya Pradesh Education Government invites applications from eligible candidate to apply ON-LINE through website http://educationportal.mp.gov.in/ for the post of school Guest Teacher [Primary School, Middle School, High School and Higher Secondary]. Registration of New Applicants for Guest Faculties is now available. This Registration is only for new Candidate, If you already applied then you have no need to registered your self again. Date for Registration of Applicants for Guest Faculties and Update of Qualifications for Registered Applicants has been extended to 30.4.2019. After that it is possible that you will also be able to download score card and apply for choice filling. Those Candidates who Are Interested to the Following Vacancy and Completed the All Eligibility Criteria Can Read the Full Notification and Apply Online 2019. Education Qualification: Candidate should possess graduation as a minimum qualification from recognized University. How to Apply: Eligible candidates may apply online through the mp govt official website http://educationportal.mp.gov.in/. How to apply for MP Guest Teacher Registration 2019? Click on MP Guest Teacher Registration 2019 and fill your details. Then Click on Login and Login by user ID and Password. Fill up your details and submit form. visit our website www.emitra.net daily for latest information of mp guest teacher details. How can I apply a guest teacher application for a government school post . Last date kab h sir form ki ?? Sir mene athithi teacher me Rajastation kara tha par mere paas. B. ed nahi thi. 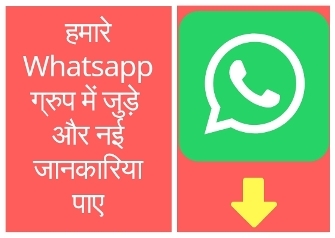 Aab mene kar li hai. To usme add kar bana hai. To kya karna padega. Verification ki last date kon c h sir?? Sir mene Apna password reset kiya lekin phon no. Me ni aa raha hai kya karu ? sir mera up ka niwas h to kya main bhi aply kr skta hoon? Sir mera purana registration hai or me ek guest faculty hu, mujhe phir se registration krana padega.